WASHINGTON, D.C. (July 9, 2018) – (RealEstateRama) — A federal judge has ordered Credit Bureau Center, LLC and its owner, Michael Brown, to pay more than $5.2 million to return to consumers, to resolve FTC charges that they deceived people with fake rental property ads and deceptive promises of “free” credit reports, and then tricked them into enrolling into a costly monthly credit monitoring service. Brown and his company, formerly known as MyScore LLC, and their co-defendants placed Craigslist ads for rental properties that did not exist or that they had no right to offer for rent. They impersonated property owners and offered property tours if consumers would first obtain credit reports and scores from their websites. These sites claimed to provide “free” credit reports and scores, but then enrolled consumers in a credit monitoring service with monthly charges of $29.94. Many people did not realize they were enrolled until they noticed unexpected charges on their bank or credit card statements, sometimes after several billing cycles. 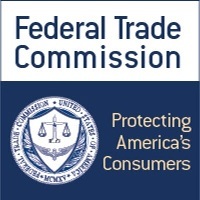 At the FTC’s request, a federal court halted the scheme during litigation. In October 2017, the FTC obtained a court order that required Brown’s co-defendants Danny Pierce and Andrew Lloyd to pay a total of $762,000 to resolve the charges against them. The order announced today grants the FTC’s motion for summary judgment and enters a final judgment and order against Brown and his company, finding they violated the FTC Act, the Restore Online Shoppers’ Confidence Act, the Fair Credit Reporting Act, and the Free Annual File Disclosures Rule. As part of the $5.2 million judgment, the court entered a permanent injunction that bans Brown and his company from selling any credit monitoring service with a negative option feature, and from misrepresenting material facts about any product or service. The order also specifies how they must monitor their affiliate marketers in the future. For example, they must require certain information from affiliates, including their name and location, and advance copies of all marketing materials. They also must investigate any complaints about affiliate marketers and end the affiliation if they find practices the order prohibits. The order requires Brown and his company to make certain disclosures when selling any product or service with a negative option feature, and when offering free credit reports. It also bars them from using billing information to obtain payments from consumers without first obtaining their express informed consent. In addition, the order prohibits Brown and his company from profiting from consumers’ personal information obtained as part of the scheme and failing to dispose of it properly.